The Hamburg professor’s remarks were made in sympathy with the craftsmen who were increasingly having to repair and maintain a “very particular breed of watch that is as difficult to handle on the workbench as it is to write about.” Bruno Hillmann dedicated his 1925 book “Die Armbanduhr – ihr Wesen und ihre Behandlung bei der Reparatur” (“Wristwatches – their nature and how to repair them”) to these same craftsmen. Hillmann was not wrong, though his judgment may have been less aggressive if he had written it just two years later. In November 1927 the wristwatch had a spectacular baptism on the arm of Mercedes Gleitze. On the 7th of that month at exactly 2.55 a.m., the London stenographer entered the cold sea at Cap Griz-Nez in northern France in order to swim across the English Channel. A tortuous 15 hours and 15 minutes later, the exhausted Amazon arrived on British shores at 6.10 p.m. 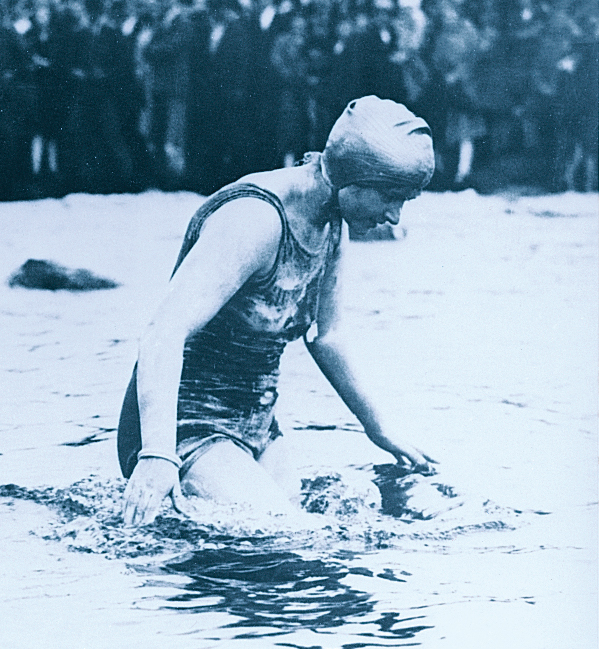 Doubt was cast on her record, so two weeks later, in even colder water, she tried again. This “vindication attempt” failed a couple of kilometers short of the finish, but Mercedes Gleitze attracted great sympathy. In contrast to the utterly spent swimmer, the watch she had been wearing was still ticking along as though nothing had happened. 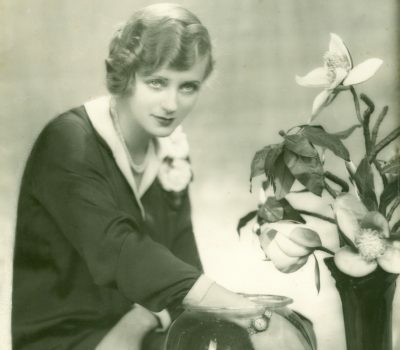 In 1931, Evelyn Laye, a popular English actress, was seen theatrically dipping her Oyster in a goldfish bowl. 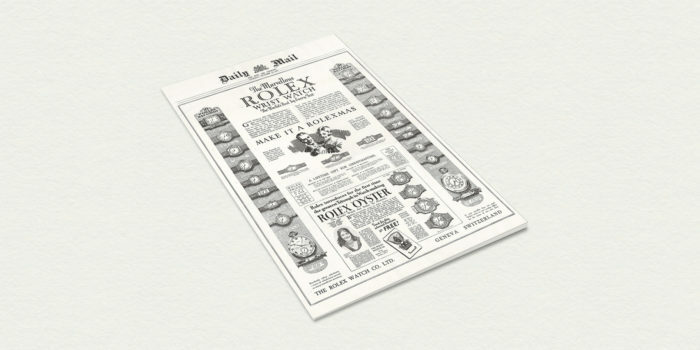 These and many other stunts put on by the crafty marketeer, who in 1920 relocated his operations to set up Montres Rolex SA in Geneva, gradually turned the wristwatch into a must-have fashion item, even for men. It’s probably time to look back at the surprisingly long history of the wristwatch. Strictly speaking, it starts in 1571 with Queen Elizabeth I of England. To mark the restitution of the Reformation, the Earl of Leicester presented his queen with a watch that could be worn on the wrist. We have no records – from chroniclers or court painters – of what it might have looked like. The same goes for the 18th century pendant watches that pragmatic mothers and nursemaids would fix to their lower arm to protect them from children’s grasping hands. The documented and provable history of the first genuine wristwatch reads almost like a fairy tale. One of the cast of characters was First Consul Napoleon Bonaparte, who at the start of the 19th century took a coach, along with his entourage, to the Théâtre Français in Paris. During the journey, the horses bolted and the carriage crashed just in front of a jeweler’s shop in the Rue Saint Honoré. Startled by the noise, Etienne Nitot and his workers rushed to help the bewildered party, who accepted the offer of a drink in Nitot’s studio as they waited for the carriage to be repaired. Just before continuing on his journey, Bonaparte whispered to his selfless host that his kindness would not be forgotten. Nitot remembered the pledge when he heard about the coronation ceremony that would take place on December 2, 1804 in Notre Dame cathedral. Hoping to be commissioned to craft the crown jewels, he and the experienced gemstone merchant Salomon Halphen went to the Tuileries Palace. Uncertain at first about the suburban jeweler’s competence, the Emperor-to-be finally agreed. The pair confessed that they lacked the funds to buy the necessary materials, and their courageous honesty was rewarded with a loan of 2.5 million francs. The final bill for the crown jewels was 15 million francs, but Napoleon’s high expectations were wholly satisfied. Marie-Etienne Nitot was made official court jeweler and so became the logical choice two years later when the luxury-obsessed Empress Joséphine de Beauharnais wanted an appropriate wedding gift for Princess Augusta of Bavaria. Initially against their will, the eldest daughter of King Maximilian I married Eugène de Beauharnais, the adoptive son of the French Emperor, on January 14, 1806 in Munich. Once again Nitot, founder of prestigious jewelry firm Chaumet, came up with the goods, creating a very special pair of decorative bracelets. One included a manually adjustable calendar that displayed the date and day of the week. The other contained a little watch movement that needed winding every day. Between 1831 and 1838 the successors of ingenious watchmaker Abraham-Louis Breguet made watches to be worn on the wrist for several of their wealthy clients. According to the firm’s meticulous archives, the watches housed small movements of around 18 millimeters in diameter. In 1868, prestigious Geneva manufacturer Patek Philippe & Co. created a fine gold bracelet with a baguette-shaped movement. It took five years before this exquisite piece was actually sold. Reading the time required an ostentatious gesture, as the proud wearer first had to lift a large diamond to see the dial and hands. Twenty years later, trade journals were reporting that American tourists in Lucerne were going crazy for gold and silver watches with wrist straps. And in 1913 a major fashion magazine asked its readers to name their favorite piece of jewelry. It was no longer such a surprise that 70 percent of the women who answered chose the wristwatch. Despite all the misgivings, enterprising jewelry shops and their customers continued to demand ever more sophisticated watches. Manufacturers listened and responded by producing practical but delicate creations … and they were very successful. In 1924 Leopold Reverchon wrote the following in “The Watchmaker”: “Today we can say that they (wristwatches) have conquered the world: they’re worn by everyone from workers to fine ladies.” The aforementioned Hans Wilsdorf had already proved in 1910 that feminine models could be just as accurate as the much larger gentlemen’s pocket watches: following two weeks of trials, the testing office in Bienne confirmed that a small wristwatch with an 11-ligne movement (diameter of approximately 24 millimeters) was of genuine chronometer quality. Similar successes followed soon after, though with less fanfare. Louis Cartier, a gifted designer, launched the “Santos”, the first man’s wristwatch, in 1904 for his friend Alberto Santos Dumont. In 1917, he created the rectangular “Tank”, inspired by British military vehicles, for General Pershing and other high-ranking officers of the Allied forces. From the 1940s, by which time most men had embraced the wristwatch, the female pioneers had a harder time of it. Equality was not on the industry’s agenda. 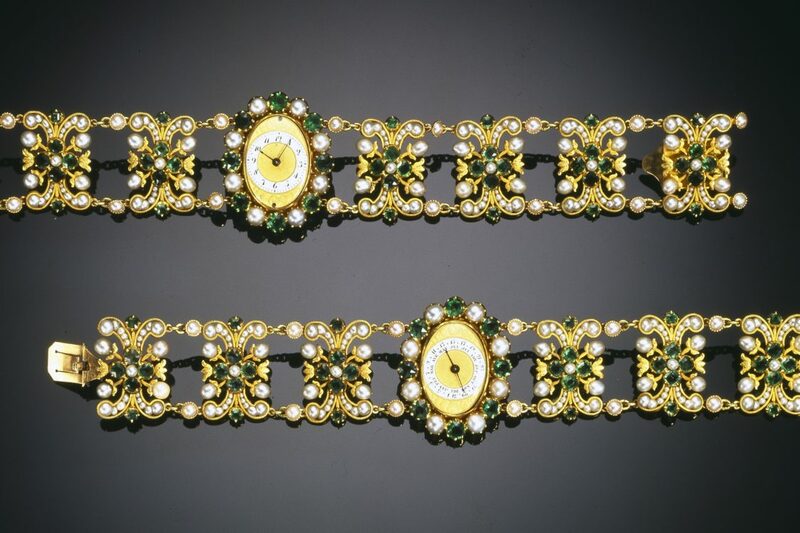 Ladies were sold smaller versions of men’s watches, or delicate models with a lot of bling. Product designers thought this approach would appeal more to women. After all, diamonds are a girl’s best friend. Refusing to be patronized, women went on the offensive under the banner “His watch for me!” And then in 1999, IWC shot right back with full-page ads: “They smoke our cohibas. They drive our Harleys. And drink our Lagavulin. Leave us our IWC at least!” The provocative approach bore fruit. Without these ads, many women may have missed the fact that men’s watches were indeed worth considering. Seen from this perspective, now is a golden age for watch-loving women. Unlike men, who may well find it hard to wear a woman’s watch, women have the entire market to choose from. They just have to trust their instincts.